If there is one thing I don’t like about Christmas it’s the grumpiness from all the stress. It truly makes me think of The Grinch! 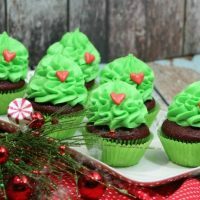 Since our family actually loves and enjoys that movie so much I decided to make The Grinch Cupcakes that look cute and taste so good it will knock the grouchiness right out of you! Did I mention this recipe is entirely homemade from start to finish? Yup it is! In a bowl add the flour, baking powder, baking soda, cocoa and salt together. Sift before adding to the other ingredients. Bake at 350 degrees for 20 to 25 minutes or until a toothpick inserted into the cake and it comes out clean. Cream the butter and powder sugar until it looks light and creamy. Note: If it doesn’t cream add several drops of the heavy whipping cream until it creams. Test to see if the frosting can form and hold a stiff peak by taking a spoonful of frosting and turning the spoon upside down. If the frosting stays on the spoon it is ready if not then add more powder sugar 1/2 C at a time and mix well. Combine all ingredients in a mixing bowl mixing on medium speed for 4 minutes. (except your food coloring) Note: If icing is not stiff enough add 1/4 C powder sugar. Add several drops of red gel food coloring in the large bowl of icing. Stir well to mix the color. 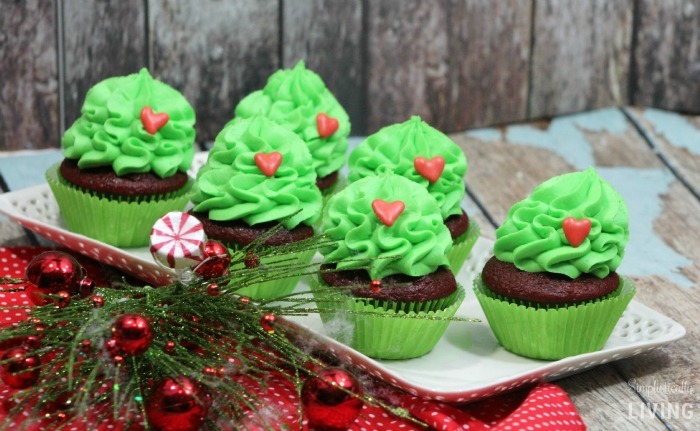 Looking for more Grinch Recipes? 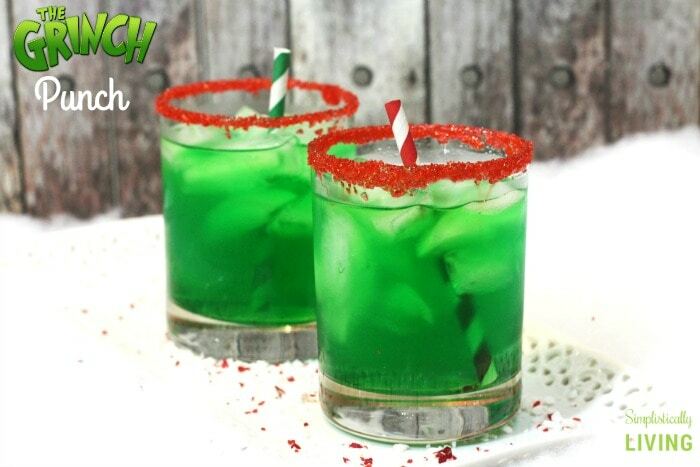 Check out this Grinch Punch! 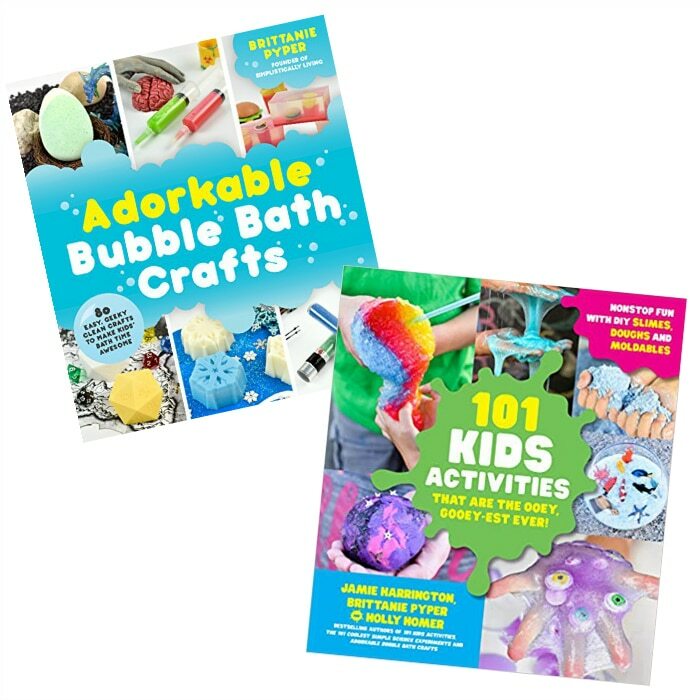 Love that these are so simple and sooooo adorable! These cupcakes are adorable! 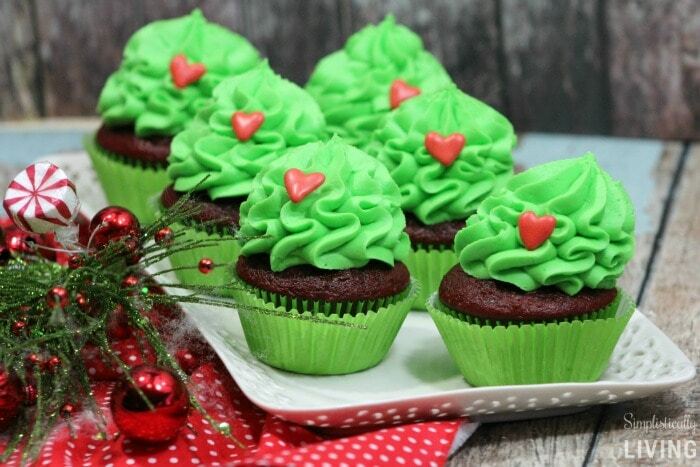 I look forward to making them for the Grinch party I am going to have for my grandkids. Thanks for sharing. 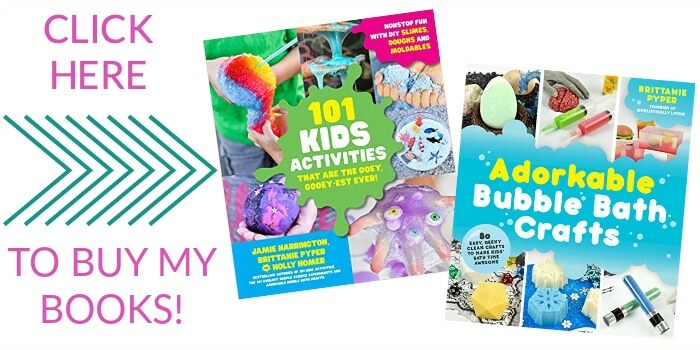 What an adorable idea- definitely pinning for later! Wow, looks so beautiful and delicious, really love your posts!